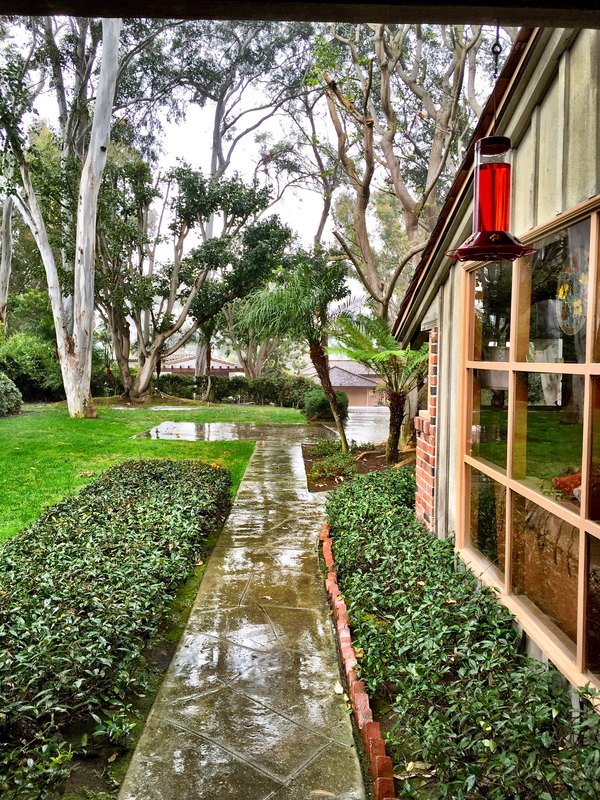 I’m not going to do the usual jokes about how it never rains in California. But I will say, our drought-stricken state got a little help from team southern California today. It’s been decades I’m guessing since I was in the southland during a rain storm, such as it was. My mom’s yard definitely got wet. Coastal fog brings a lot of moisture to this part of Palos Verdes, so lush green grass is not unusual. Still, the rain was a treat. And like all good southern Californians, we had a roaring fire in the fireplace. Because, rain.